On my list to read, Snakeskin Shamisen (2007) by Naomi Hirahara, Edgar Award winner. Haven't read her before, but the title of this book sounds intriguing. 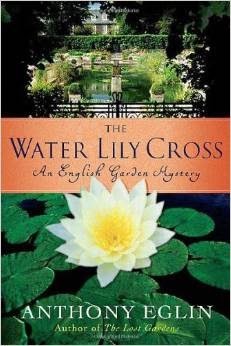 I have also just begun the third of Anthony Eglin's English Garden Mysteries, The Water Lily Cross. As in his first book, The Blue Rose, this latest novel focuses on the consequences of creating a hybrid plant or flower that is so unusual, one of a kind, that its high value poses a personal risk to its breeder or owner. In the Water Lily Cross, a friend of retired botany professor Lawrence Kingston mysteriously disappears on his way to a conference on global warming. Kingston finds clues left by his friend about a new water lily hybrid that can absorb salt and thus desalinate any salt water it is planted in. The implications of such a discovery are mind boggling, to say the least. Eglin lists other plants that actually do remove minerals or pollutants from soil and water. The water lily in this book is, however, purely fictional. The second in the Eglin mystery series, The Lost Gardens, I have yet to read. As The Blue Rose won France's Prix Arsene Lupin Award for best mystery novel of 2006, I' m betting his second novel is also good. Once more to Scarborough, Ontario, home to a whopping number of restaurants with interesting fare. Yesterday, we tried a new restaurant close to where we were staying and were served a Hong Kong style meal. We started with the house tea, a blend of Ceylon and other Chinese teas that together have a unique flavor. We had Cantonese dishes of tofu and beef over rice, beef and fugah (a bitter green vegetable), and Malaysian-style noodles with pork cooked in salty black bean sauce. The Hong Kong surprise came with the after dinner choice of beverage- Horlicks, Hong Kong style tea served with milk, and Ovaltine. Horlicks, Ovaltine, and milk with tea are definitely left over habits from British Hong Kong. These have traveled to Canada with the new immigrants. Today, we are having fresh lychee (which I eschew as lychee is really the fruit of a nut I'm allergic to), sweet mangoes, pawpaw, roasted pork with crispy skin, and barbecued pork. This is lunch. Our dinner tonight will be Trinidadian-East Indian-Jamaican. We are having curried goat and curried chicken, with roti. Last but not least, this is really a family reunion, an informal one. But in any event, we enjoy conversing at the table. Tomorrow? Dim sum, of course, with Peking duck, our final meal before we leave Canada, the land of immigrant flavors. I did some web searching and found an interesting article on the little known connection between reggae development in Jamaica and some of the Chinese Jamaicans, children of immigrants, who helped develop the movement in Jamaica as musicians and as record producers. 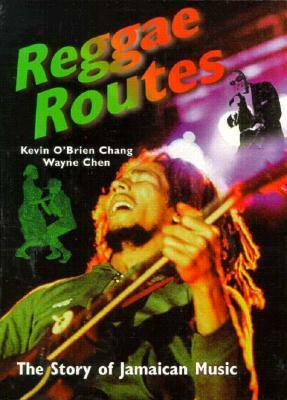 The website also refers to a book on the history of Jamaican music titled Reggae Routes, the Story of Jamaican Music, written by Jamaicans Kevin O'Brien Chang and Wayne Chen.